Are you Missing Teeth? Dentures are a common way to restore lost teeth. Here at Parkway Dental Care, we specialize in providing affordable full, partial, and implant dentures for patients. While many dentists have to refer out patients looking for this service, our dental team's advanced training with "false teeth" allow Dr. Rizvi and Dr. Habib to offer several cost-effective denture options in Brentwood and restore the appearance of your smile. The procedure is non-invasive, yet effective, providing patients with pain-free dental restoration. Our dentists provide many denture options, making sure our patients get the appliance that best fits them. Dr. Imran Rizvi and Dr. Fawaz Habib will determine what type of denture is needed and correctly fit the prosthetic to the individual. The two main types of dentures are complete and partial. Partial dentures are made to fit around existing teeth, replacing only a portion of the smile. Complete, or “immediate,” dentures are what many people think of as dentures. The prosthetic replaces the full dental arch or even both arches within the mouth. This is a complete replacement, when there are no natural teeth remaining on either the upper and/or lower jaws. 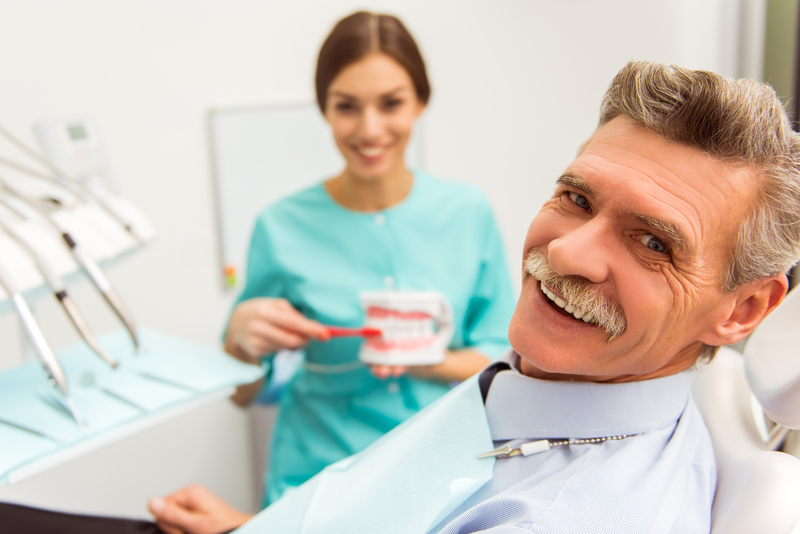 Patients can either choose to have “immediate” or “conventional” complete dentures. Dentures can improve speech, restore a strong bite, and improve the appearance of the face. Our dental team at Parkway Dental Care can guide you through your treatment, helping answer questions and giving you a complete understanding of your restorative procedure. Ask questions about your new dentures in Brentwood, California or make an appointment by calling our dental team at (925) 240-7071.